The way 2018 ended in the markets with culminating in the Christmas Eve massacre followed by the post-Christmas bounce, it looked like 2019 would be more of the same. Turned out the market continued to bounce high and at one point erased most of the damage of last year. 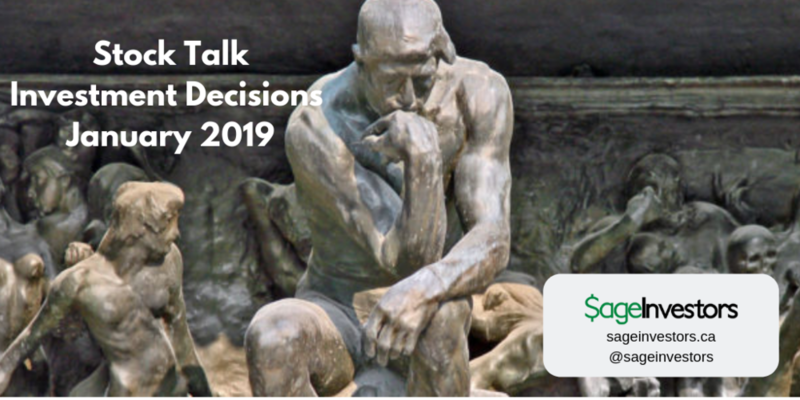 In this post I share my Investment “Decisions” that I made in January. It doesn’t matter how experienced you are with investing. We make lots of mistakes. Always have and always will. Investing is probably one of those disciplines where you literally have to “pay” your dues to make progress. It is an extremely humbling activity. It’s closest comparable in my mind is golf. We’ve seen how all of various cognitive biases and tensions can poke and prod our emotions and decision making. The big questions is, can we eliminate these behaviours or are we stuck with them? A great deal of investment decisions are skewed towards the familiar, such as our neighbourhood, our city, and our country. It’s a comfort and safety thing. This behaviour is known as Geographical Bias.